The warm, lazy days of summer can be a time for healing, rejuvenation and relaxation. To really get the most of your summer downtime preventative medicine can be the perfect way to enhance your body’s balance and positive state of mind. Reflexology is a great form of preventative medicine. Its relaxing and stress releasing effect allows the body to restore energy while being filled/flooded with a general feeling of calm and well-being. The origins of reflexology can be traced back may thousands of years. Many civilizations and cultures have used this ancient form of healing throughout history. The main principle of reflexology that has evolved with time and research is that the feet mirror the body. 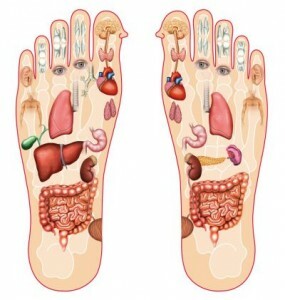 Reflexology is a non-invasive form of healing involving application of pressure to the feet and hands with specific thumb, finger, and hand techniques without the use of oil or lotion. Reflexology improves the circulation and nerve supply, and most of all releases physical and emotional stress at the same time. Since many of our health problems can be linked to nervous stress, reflexology is a valuable tool for the support of the well-being of anyone. In fact, you don’t have to be sick in order to benefit from a reflexology treatment. Consider it as a relaxing time out or a preventative measure to support your overall wellness. Call 403-301-3730 to arrange your appointment today.